Jackie Robinson became the first black Major League baseball player of the modern era when he stepped onto the field as a Brooklyn Dodger in 1947. In simple, engaging language, this book follows Jackie from childhood through his career as an MVP-award winning baseball player and a hero of the civil rights movement. 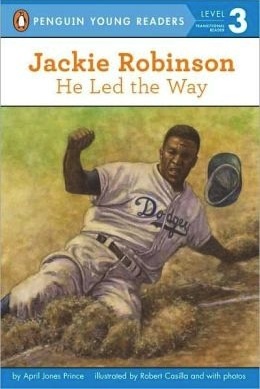 This book is perfect for Black History Month and the start of spring training. "A good choice for boys who love sports and kids who need books featuring African American role models."